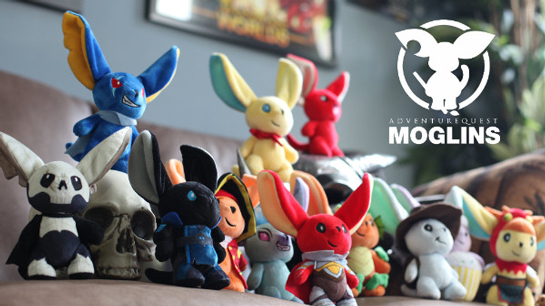 Help us make our dream of moglin plush a reality! Greetings and salutations friend... we're about to do something crazy together. Want to join us? You've had moglins at your side in our video games. 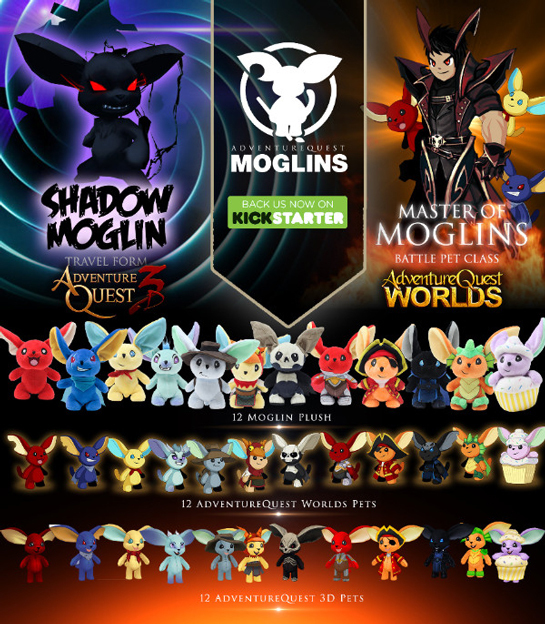 Now, help us bring Moglins to the real world! Moglins like Twilly, Zorbak, Twig, & Quibble are magical forest creatures born in our video game worlds. 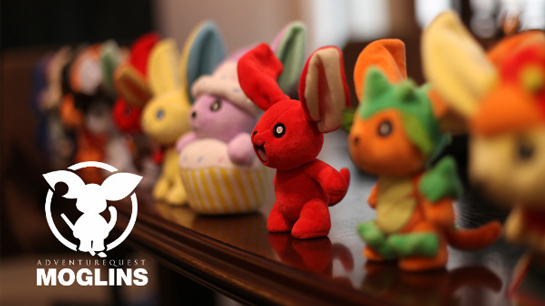 Back our Moglin Kickstarter to help them escape and join you in the real one. 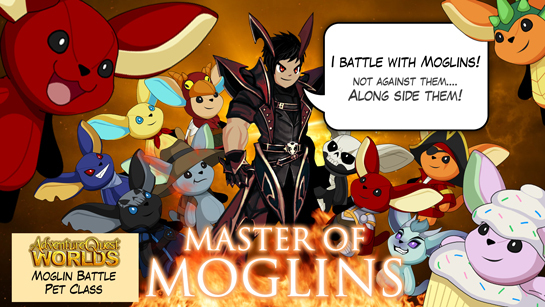 Of course, each Moglin also comes with a code to unlock an in-game pet of itself in multiple Artix Entertainment video games. Oh! 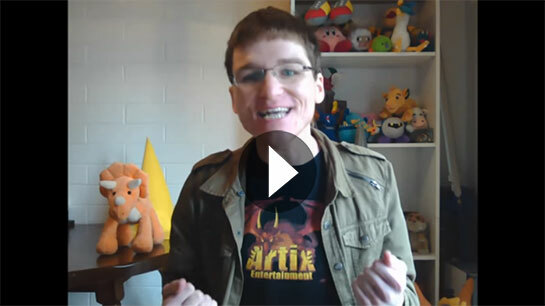 Our new Artix Games Launcher lets you play our games (with your moglins) without needing a browser or the Flash plugin. Put a Moglin on your desk to cheer you on. They’ll keep you company while writing, drawing, coding, and gaming. Moglins love to watch your favorite shows with you...even when no one else will. You can keep the joy for yourself, or give a Moglin to someone you love. 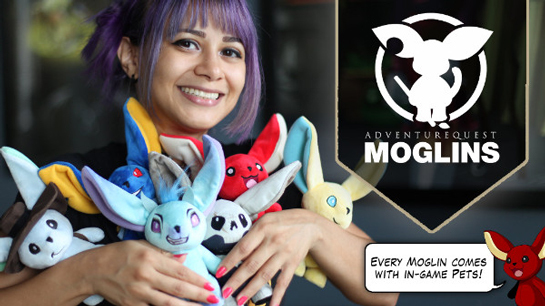 Moglins are the ultimate sidekicks for real life adventurers like you. Help us bring them from the fantasy world into the real one! The power of our community is OVER 9000! Thank you all so much for your support! 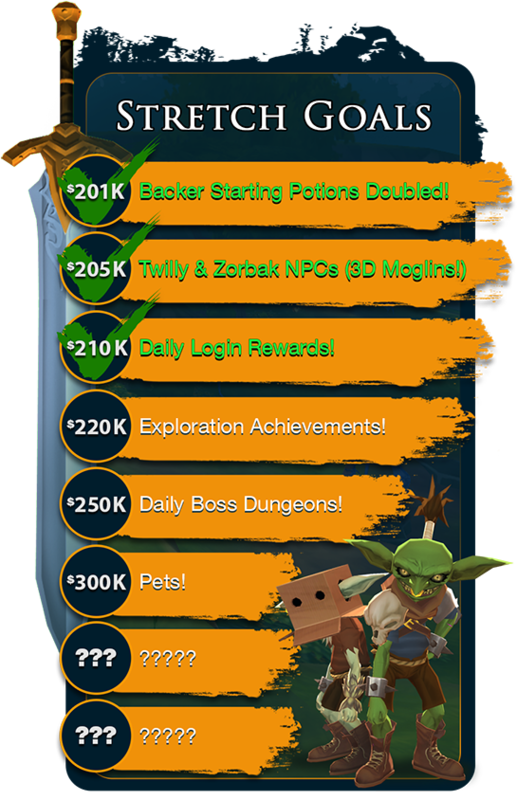 We hit our first THREE stretch goals for the AdventureQuest 3D Kickstarter in the first 48 hours thanks to you guys. 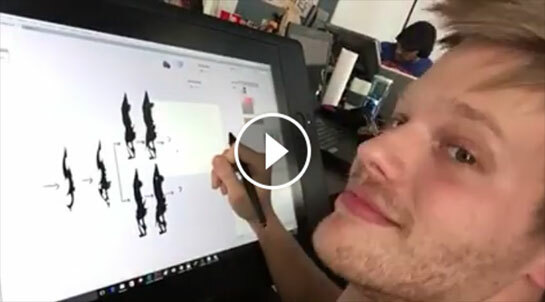 Let's keep this momentum going - together we're making AQ3D amazing! 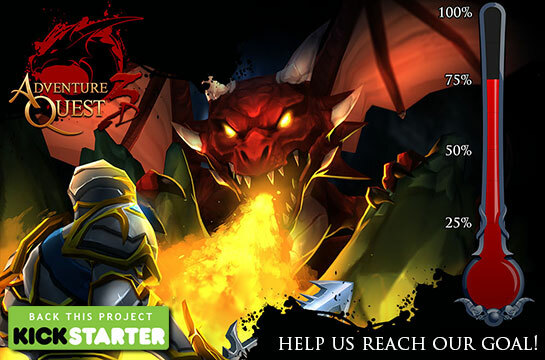 AQ3D's Kickstarter hits 75% of its goal! We are almost at 100% and full funding! 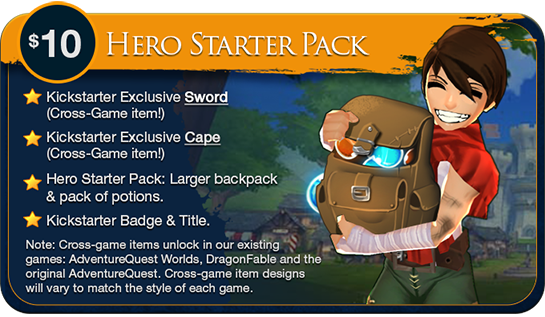 The AQ3D Kickstarter campaign just broke $150,000 raised! That means we're 75% of the way to our goal, and only need $50K to go until the finish line. Thanks to every backer and everyone who can't be a backer but is helping us spread the word and get this game the funding it needs! 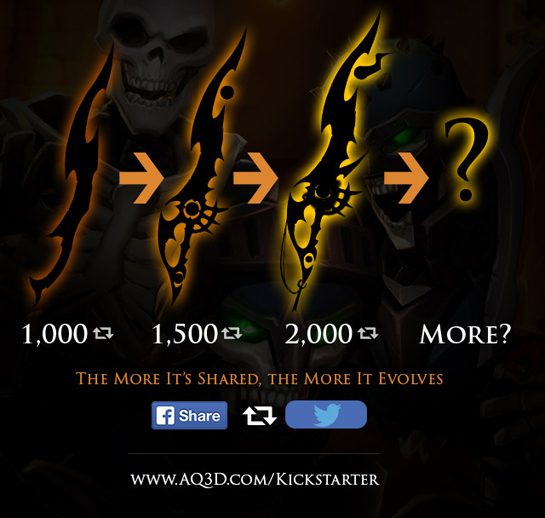 Share News of AQ3D to unlock an evolvable sword in AQW! 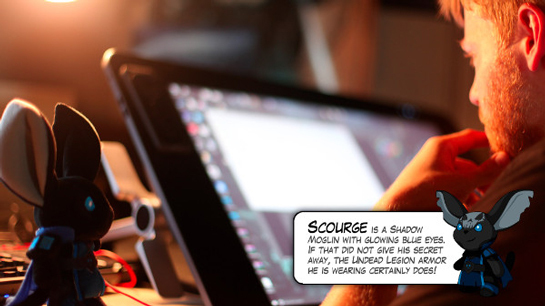 Share our AQ3D Kickstarter announcement post on Facebook and retweet Artix's AQ3D Kickstarter announcement tweet! If we work together to complete the community quest, everyone in AQW, DF and AQ Classic will get a FREE SWORD designed by Dage. The higher the score, the bigger and crazier the weapon gets! See how many we can get before the Kickstarter ends on the first day of the new year! That's all there is to it. The Blade unlocks at 1000 TOTAL shares and re-tweets. (example: 500 shares + 500 re-tweets = 1000 total), and it evolves the more we share these two posts! This is great because you get something for doing almost nothing AND you're helping us spread the word about the AQ3D Kickstarter! This week, we'll be adding the first version of the sword. Then you can quest to evolve it to its additional forms!